Looking for a Writers’ Retreat Next Fall? Hey everyone! We’re meeting at 2 p.m. on Sunday, Aug. 10, at Allyn’s Cafe on Columbia Parkway in Cincinnati’s Columbia-Tusculum area. The goal of the Writing Workshop Workshop is to provide a gentle, constructive environment in which people can have their work critiqued and can critique the work of others. Bring seven minutes’ worth of material to read, $5 for the kitty, and extra money if you’d like to eat or drink. All genres are welcome! See you Sunday! We’ll meet in the back room. Wendy Hart Beckman is a published author of seven books and experienced presenter on how to effectively edit and publish. Tina Neyer is a writer and mediator working with a diverse population to aid in the telling of personal stories. For more information, contact Tina at tina.neyer@gmail.com or Wendy at beckcomm@fuse.net. 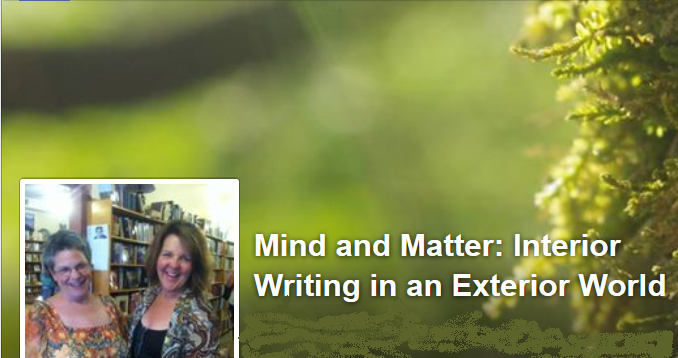 Sunday, March 23, at 2 p.m. will be another of our great Writing Workshop Workshops. As usual, we’ll be gathering downstairs at Olive’s in Cincinnati’s Clifton Gaslight District. Bring seven minutes’ worth of your writing to read, $5 for the kitty, your books to sell, any publishing or writing questions you’d like to ask, and a friend or two. I hope I will have a big announcement for you! Head’s up for April: on Sunday, April 27 (same time, same place), at our Writing Workshop Workshop, we’ll be joined by Carol Topp, CPA, author of Business Tips and Taxes for Writers. It’s too late for your 2013 filing, but Carol will have lots of great advice for your 2014 return on how to be a professional writer, in terms of what’s deductible and what’s not. So put April 27 on your calendar, and in the meantime I hope to see you Sunday, March 23, at 2!